Aloha. 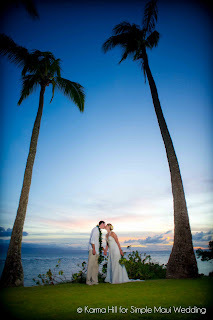 Just getting up and ready to start posting content from our Maui Wedding Packages website Simple Maui Wedding. Here is a teaser photo, many many more to come. We were previously posting all of our weddings on http://www.mauiphotographerblog.com, a blog by Karma Hill, containing all of her photo shoots. If you want to see a lot of amazing portrait and wedding photography it is a great place to go. Simple Maui Wedding provides such amazing Maui wedding packages, their beach weddings are breathtaking and so heart felt. If you are having a wedding in Maui you should really contact them.